MINOT, N.D.— The North Dakota State Fair is honored to announce a new and unforgettable display making its North Dakota debut at the 2018 North Dakota State Fair: an exhibit that will stir many emotions and educate fairgoers about the devastating attacks on September 11, 2001. 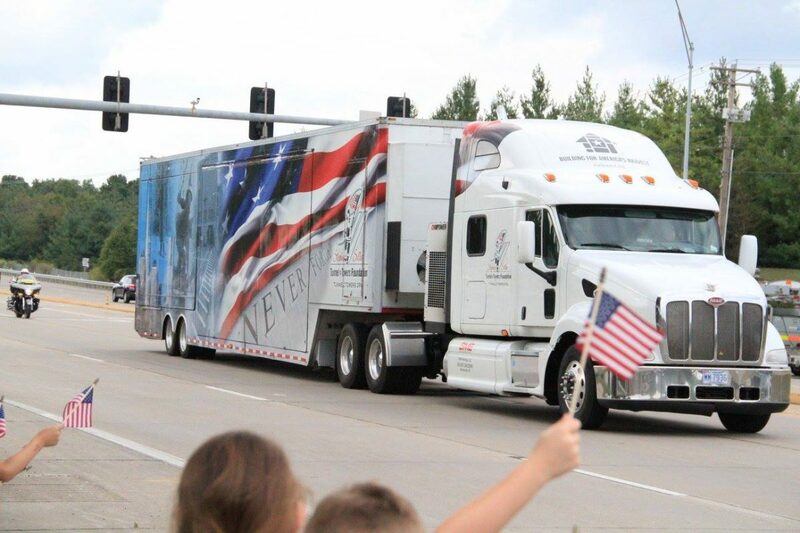 Learn about a turning point in our nation’s history at the 9/11 NEVER FORGET Mobile exhibit at the 2018 North Dakota State Fair all 9 days, July 20-28. The Stephen Siller Tunnel To Towers Foundation launched the 9/11 NEVER FORGET Mobile Exhibit in 2013 as a tribute to all those who lost their lives on September 11, 2001. The high-tech, 53-foot tractor-trailer transforms into a 1,000 square foot exhibit. The mobile museum travels across the country and is used as a tool to further educate citizens about the events of that tragic day. North Dakotans will get the chance to experience this exhibit at no additional cost from noon to 7pm daily. In addition to exploring artifacts from the towers, documentary videos, and recordings of first responder radio transmissions, visitors will get a personal story with every tour. First responders who were on duty on that fateful day will be giving guided tours, sharing their personal stories of how events unfolded from the eyes of these heroes. The North Dakota State Fair is proud to welcome the exhibit and give Fairgoers an experience they will never forget. Previous Post Previous post: Minot’s Ribfest Kicks Off Today!